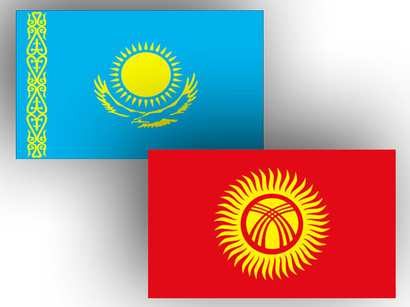 Kazakhstan and Kyrgyzstan are expected to sign an agreement in military intelligence sphere, as a Kazakh military delegation led by the Defense Minister Colonel-General Saken Zhasuzakov has arrived in Bishkek. A meeting with participation of the Kazakh military delegation was held at the General Staff of the Armed Forces of Kyrgyzstan, Kabar reported. This is the first official visit in the history of Kyrgyz-Kazakh relations since the two countries gained independence. During the visit, Zhasuzakov met with President, Supreme Commander-in-Chief of the Armed Forces of Kyrgyzstan Sooronbay Jeenbekov. Moreover, a meeting with Rayimberdi Duishenbiev, Major General, Head of the General Staff of the Armed Forces of Kyrgyzstan is being held July 25. During the talks, the sides will discuss the situation in the Central Asian region and exchange experience on ensuring joint security. Following the talks, the sides are expected to sign an agreement on cooperation in the field of military intelligence.